Tory Burch is one of my favorite designers and I love the gorgeous prints, patterns, and styles of her clothing. 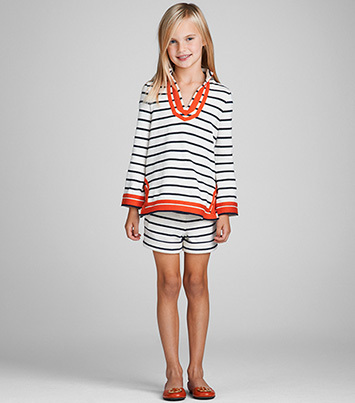 The Tory Burch Girls Collection is perfect for school, the playground, or a party. The clothing is comfortable and classic. I want it all! The Simone Cardigan keeps her warm in air conditioned buildings or on a cool summer evening. The Tory Tunic is a staple in my wardrobe and I adore the mini version! 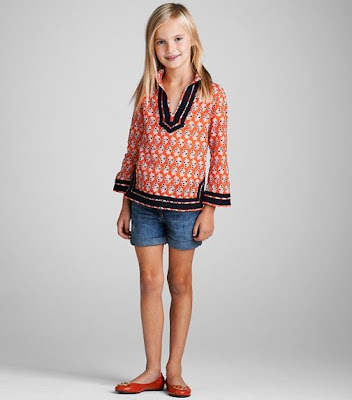 The Kids Tory Tunic in the Hamradi print is casual and polished. It's incredibly versatile and looks fantastic with everything from jeans to skirts. Paired with Reva ballet flats, it's a mini-fashionista dream. The Tory Tunic takes on a whole different look in striped jersey. She'll feel like she's wearing a sweatshirt, but she'll look elegant and polished. I love the pop of orange and the collar, cuffs, and vented sides. Gorgeous clothes for your mini-me! Sooo cuuuuute!!! I KNEW I should have stopped in at the Tory Burch outlet when I was in Orlando!! DURN!! So cute! I'm quite petite so maybe I'll be able to fit into some of their pieces as well! 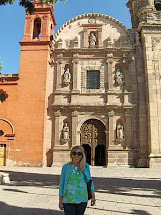 Mini K lived in her simone cardigan this past winter and thankfully her tunics from last summer still fit! I did just order the knit shorts and tunic set, because I had to have the orange! I'll take the striped jersey tunic in my size, hehe! Oh, my mini-me would just love to be outfitted in TB! Love the tunic, rolled jeans and flats! 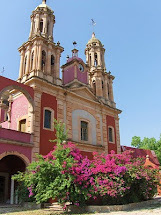 @GroveGals The orange is gorgeous!